Congestive heart failure is when the heart has stopped working properly. This means that the heart’s pumping power is weaker than normal, and is moving the blood throughout the heart and body at a slower rate than usual. This results in a lack of oxygen and nutrients required to meet the body’s needs. The body compensates for this by the chambers of the heart stretching to hold more blood. As a result, the heart muscle walls may weaken over time and be unable to pump as efficiently as it used to. This can cause the kidneys to retain fluids and salt, making the body congested, causing congestive heart failure to occur. 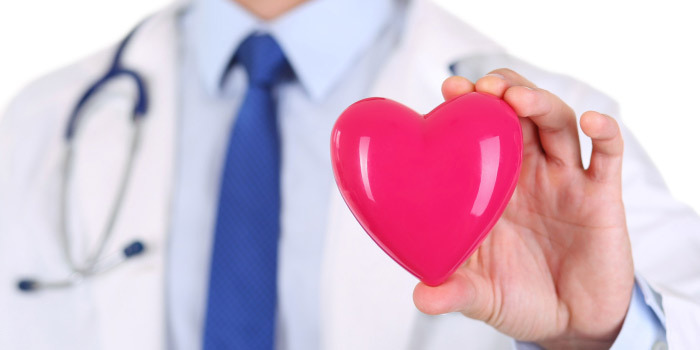 Heart failure can be caused by a coronary artery disease, heart attack, or cardiomyopathy. A coronary artery disease is when there is a decreased blood flow to the heart muscle. Cardiomyopathy is when there has been damage to the heart muscle, such as from an infection or alcohol and drug abuse. Conditions that overwork the heart include high blood pressure, kidney disease, diabetes, and valve disease. Signs include persistent chest pain, shortness of breath, fainting, and a rapid heart rate. Symptoms to watch out for are rapid weight gain, swelling or pain in the abdomen, increased swelling of the legs or ankles, loss of appetite, fatigue, and a worsening cough. Shortness of breath can be caused by congested lungs, where there is a fluid backup in the lungs making it difficult to breath. Swelling can be a result of fluid or water retention in the body, which also may lead to an increased need to urinate throughout the night. Dizziness and fatigue is a result of less blood making it to your major organs and muscles, causing you to feel tired and dizzy throughout the day. Lastly, rapid heart rate is a result of the heart needing to beat faster to pump enough blood throughout the body. If you notice any of these signs or symptoms, inform your doctor immediately to prevent it from worsening over time. To treat a congestive heart failure, there are several options that can be offered to you by your doctor depending on the severity of your symptoms. The goal when treating congestive heart failure is to decrease the likelihood of the disease progressing, while lessening the severity of your symptoms and improving your overall quality of life. Medication is the common approach to treating this disease, such as using beta blockers, ACE inhibitors, angiotensin receptor blockers, and digoxin. Surgeries to treat congestive heart failure include a coronary artery bypass grafting surgery, heart valve surgery, and a heart transplant. Coronary artery bypass grafting surgery is the most common surgery; however a heart transplant may be needed for more severe cases where patients aren’t responding to other therapies. In order to qualify for a heart transplant, the patient’s overall health must be in good condition aside from their congestive heart failure. Patients with this disease may be affected on a daily basis in a variety of different ways, depending on the severity of their congestive heart failure. For example, shortness of breath can impair their walking abilities. To qualify for this tax credit program under the walking impairment section, it must take you an inordinate amount of time to walk even with appropriate therapy, medication, and devices. To be considered as markedly restricted, you must have difficulty walking 100 metres. It may either take a great deal of time to do so, or you may experience shortness of breath or pain. Walking impairment causes fatigue, ataxia, lack of coordination, and balancing difficulties. These episodes cause you to be unable to walk, or incapacitated for several days at a time.